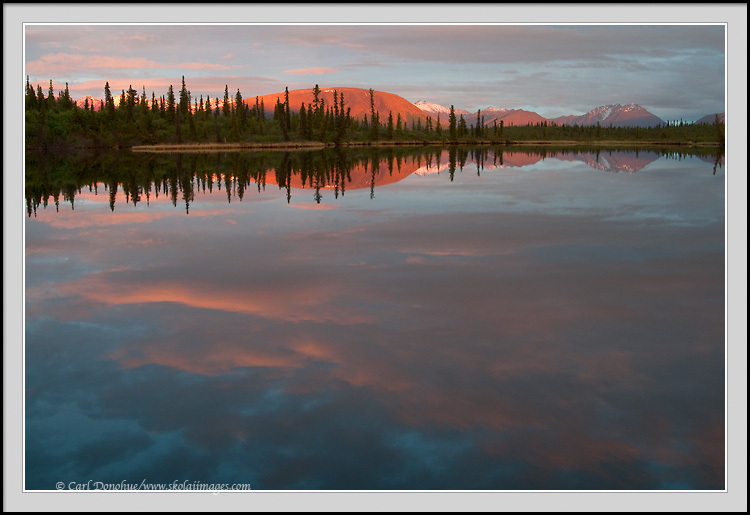 Rock Lake photo, sunset, Wrangell St. Elias National Park, Alaska. Rock lake reflections of Sugar Loaf mountain, sunset, Wrangell St. Elias National Park and Preserve, Alaska. Photo Notes: I ran pretty far to get in place for this. Glad I did. Gorgeous sunset over Rock Lake.